Half pint of fat-free milk straight from the cow delivered to your doorstep. Fat free is not synonymous with flavor free. Some people (we're looking at you, Whole-Milk Drinkers) may stick their nose up at the idea of drinking fat-free milk. 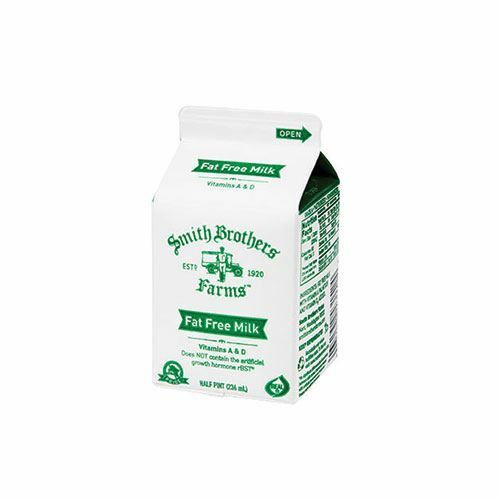 After taking a sip of Smith Brothers Farms’ Fat-Free Milk, however, might just change their mind. To ensure that farm-fresh flavor we’re famous for, we gently pasteurize our rBST-free milk. 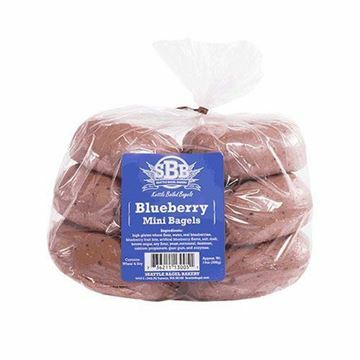 Six pack of traditional New York-style kettle boiled blueberry mini bagels. Wilcox Cage Free Hard Boiled Eggs - 2-pk. Two hard-boiled eggs conveniently packaged for life on-the-go. Twelve individually wrapped string cheese delivered to your front door. Bolthouse Farms Baby Carrots - 1 lb. One pound of snacking carrots already washed and ready to be eaten.